Jeroen Heun is a world class debater who won many tournaments. He has debated and judged all over the world including places like China, Great Britain, Estonia Croatia, Germany and the Netherlands. Among the tournaments he won are the Oxford IV, Manchester IV, Berlin IV, Utrecht and Nijeronde. He won the Dutch Master Tournament (an invitational in which only the 16 best debaters are allowed to participate) on 2 separate occasions and was at the top of the Dutch Debaters Ranking for many months. 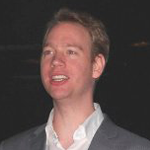 Jeroen Heun was named best speaker on 13 occasions including best speaker ESL at the 2010 European University Debate Championship (EUDC), giving him the title of best debater of Europe in 2010. Jeroen Heun has since turned to training students and professionals in increasing their ability to give persuasive speeches. He has been part of the coaching team for the Dutch national high school debating team which made it to the semifinals, the best result the Dutch team had ever got. He has trained many professionals, helping them increase their effectiveness in presentation and persuasion skills. As a debate professional he has trained numerous Municipalities (gemeentenraden), helping them improve the quality of their debates. His trainings have helped sales professionals to improve the clarity of their message, better their arguments and become more persuasive. He has trained managers of various levels to be more effective in getting their message across, both within their companies as well as to external partners. Jeroen Heun is specialised in public speaking, professional presentations, debate, effective communication and persuasive communication.